The Cadogan is a beautiful five star boutique hotel located in the heart of fabulous Knightsbridge. Within easy walking distance of this charming hotel guests will find themselves in arguably one of London’s best shopping locations; with an array of designer shops at their finger tips including Hermes, Cartier, Harrods and Harvey Nichols. Other attractions in the nearby area include London’s Hyde Park, The Natural History Museum, The Tate Gallery (Art) and The Victoria and Albert Museum (Exhibitons). If however you are looking to enjoy a more relaxed side of London, Cadogan Gardens can be found just opposite the hotel’s entrance. Cadogan Gardens is secluded and intimate with lush gardens making it perfect for a summer stroll. At 125 years of age, The Cadogan has a rich and colourful history. The hotel was once home to Lillie Langtry, consort to King Edward VII and the London address of Oscar Wilde the Irish writer and poet. Infact, it was in Room 118 the infamous arrest of Oscar Wilde took place! In more recent times both Colin Firth and Rupert Everett spent time together in the Oscar Wilde Room as they prepared to get into character for the film adaption of Oscar Wilde’s play, The Importance of Being Ernest. 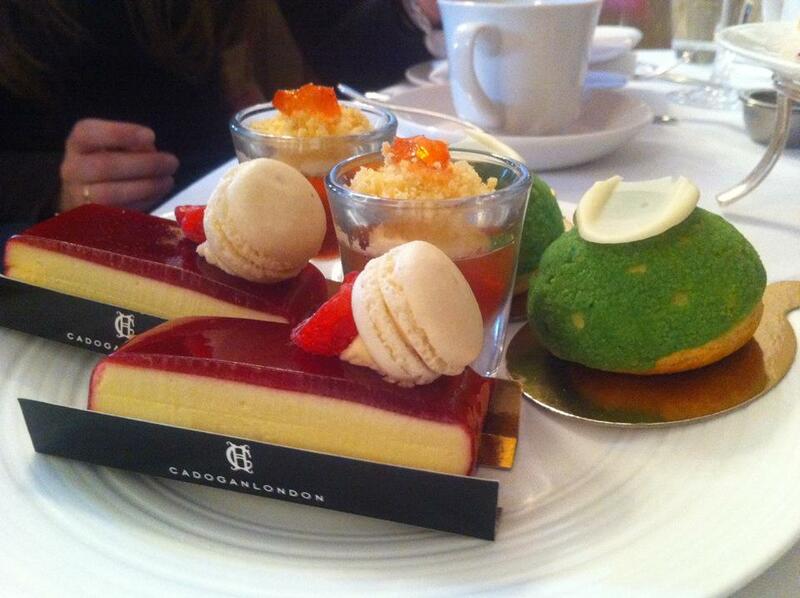 The Cadogan has been serving afternoon tea since 1887, so you can be assured that you are in very capable hands. 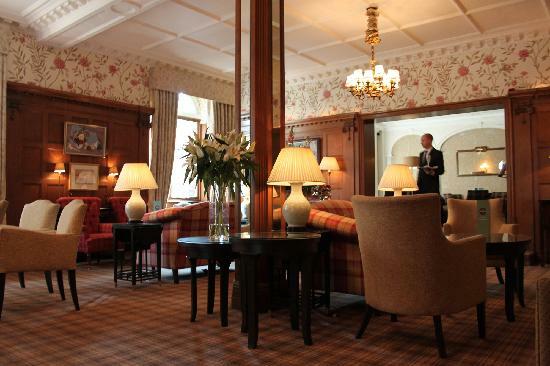 Afternoon tea is served in the hotels Drawing Room which perfectly incorporates the hotel's traditional English beauty. I could not think of a more fitting location to enjoy a spot of afternoon tea; with its oak wood panelling, orginal tasteful artworks around the walls, stained glass windows and deep, inviting armchairs and settee’s. The atmosphere is relaxed and soothing ensuring you truly enjoy both your surroundings and delicious food. On arrival we were shown to our table; before being asked if we would like a glass of either still or sparkling water to refresh our pallets. In no time at all our waitress returned with our water; and proceeded to explain to us in detail the different tea choices available. The Cadogan offers guests three different menus to select from. 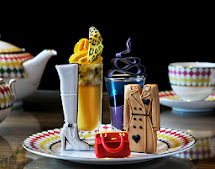 The first a 'Traditional Afternoon Tea' served with Jing tea, the second 'Cream Tea' serving both scones and Jing tea and finally 'Afternoon Tea Pastries' which as the name implies is comprised of a selection of pastries and Jing Tea. On this occasion at least we decided to try their traditional afternoon tea with a glass of Oscar Wilde's beloved bubbly Perrier Jouët Champagne. As we sipped on our exquisite champagne, taking in our surroundings whilst the drawing rooms background music played, we could truly appreciate just why Oscar Wilde was so fond of The Cadogan! Our afternoon tea arrived on a three tier stand; the bottom tier a selection of sandwiches including egg mayonnaise, cucumber and cream cheese, salmon and cream cheese, ham and dijion mustard and cheese, spinach, tomato and butter. 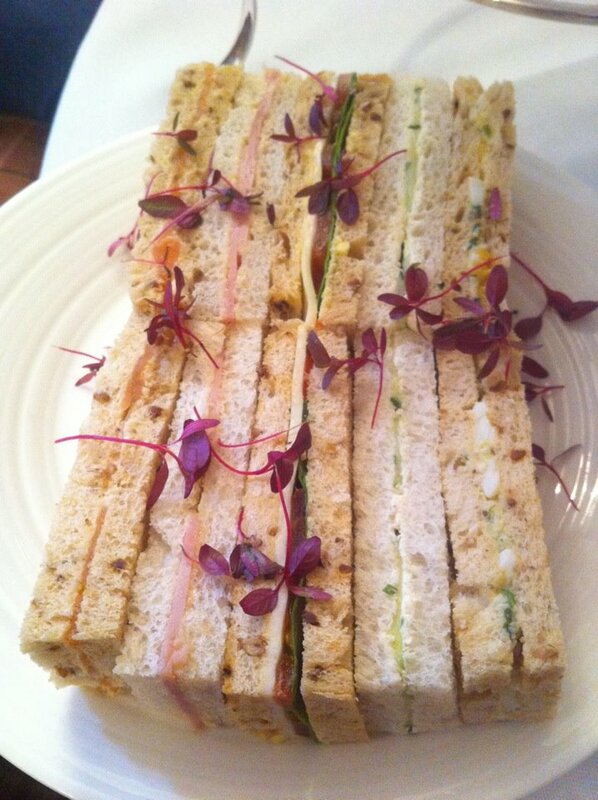 The sandwiches were decorated with delicate edible pink leaves, which we were told is the chiefs signature. The middle tier consisted of warm freshly baked apricot scones with a subtle infusion of Jasmine yogurt, complete with both clotted cream and apricot jam. We had never previously tried apricot scones before; so on arrival we were not sure what to expect but trust us this little novelty is nothing short of heavenly. Finally we reached the top tier, our favourite; the delectable desserts! The first of three desserts on offer was a white chocolate tart with a chocolate crisp base topped with raspberry jelly and a mini macaroon filled with raspberry jam and vanilla cream. The second a champagne and strawberry jelly with a maltreated strawberry topped with whipped cream and crumble, and last but not least an apple and pear cream puff topped with white chocolate. It would be impossible for me to name our favourite dessert as each one was sensational; the wholesome flavour, the freshness in each bite and shire creativity behind each made them the perfect finishing touch for a lovely afternoon tea! We asked for our tea to be served when we were enjoying our desserts; as we find the two complement each other wonderfully. 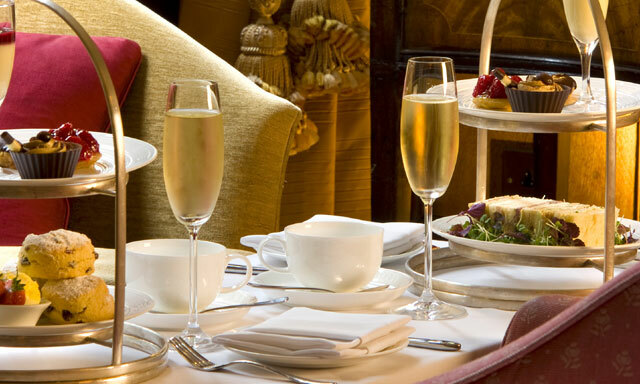 As with the food offered at The Cadogan, the tea available is of the highest standard with a large selection. The following types are available; Black tea, Scented tea, White tea, Green tea, Oolong tea and Herbal infusions. We particularly liked how under each tea there was a brief description of the following components: tea description, origin, caffeine content and taste breakdown helping to ensure you select your perfect tea. We selected the incredibly refreshing 'Moroccan Mint' and the 'Jing Assam breakfast' which is an Indian tea in origin with a full and comforting taste. We found The Codagon afternoon tea very enjoyable, we think this a perfect way to spend an afternoon with loved ones and friends. We find the best way to summarise this afternoon tea, is in the words of the great Oscar Wilde himself; 'I have the simplest taste. I am always satisfied with the best!'. I love this review girls!!! 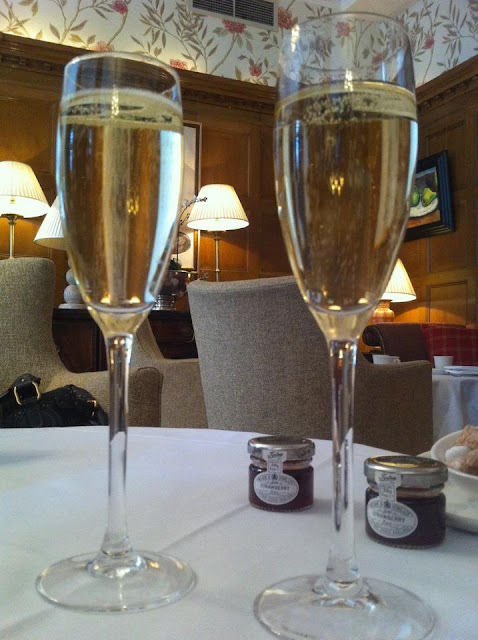 I've been looking for an afternoon tea for my birthday treat and PJ is my favourite Champagne. So think this is the one for me, thanks for giving such a detail review from real people’s point of view, much nicer than going on a hotels/companies review where you know they are trying to sell it to you. Hi Kate and Chelsie! 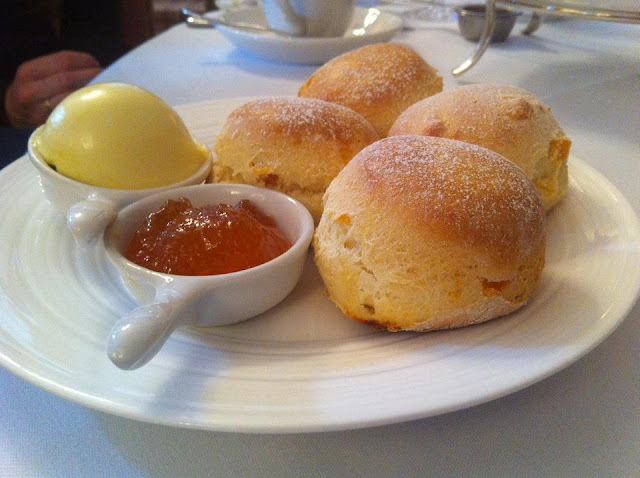 Thank you for the wonderful review on the afternoon tea cadogan knightsbridge. The way the afternoon tea has been described is just overwhelming. It is a confidence booster and just made my day. Thank you and I do hope you guys get the chance to go back there again. We have made the afternoon tea different now. Different cakes, pastries and scones..Thank you again. Thank you so much for your message, we are so glad you liked it! we loved the afternoon tea and will definitely be back to try the new menu. Thank you so much for your message! We are so glad you enjoyed your afternoon tea at the Cadogon, we loved reading your post and thank you for your message at then end. Pretty good post.I discovered your site by way of Google while looking for a similar subject, your web site came up, it appears good. I’ve added to favorites added to my bookmarks. Very excited to find your reviews. We're about to spend two weeks in London in mid August. This looks wonderful!